Although James Cameron has his hands full for the next decade with four Avatar sequels, he's apparently always got time for more Terminator. The director and producer recently told News.com.au (via ScreenCrush) that he'd like to oversee a new trilogy set in the world he created with the original The Terminator in 1984 and Terminator 2: Judgment Day in 1991. 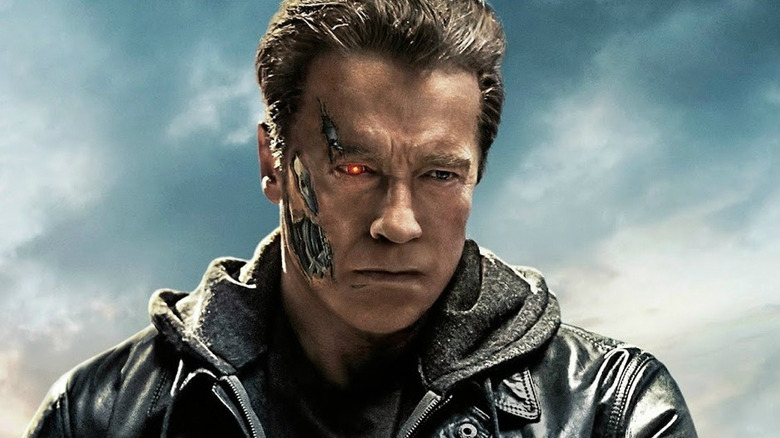 "I am in discussions with David Ellison, who is the current rights holder globally for the Terminator franchise and the rights in the U.S. market revert to me under U.S. copyright law in a year and a half, so he and I are talking about what we can do," Cameron said. "Right now, we are leaning toward doing a three-film arc and reinventing it." He also said Arnold Schwarzenegger would be involved "to some extent," but Cameron really wants to "introduce new characters to 'pass the baton.'" And there could be drastic changes to the plot. After all, the future in the '80s and '90s isn't all that futuristic anymore. "The question is 'has the franchise run its course or can it be freshened up? Can it still have relevance now, where so much of our world is catching up to what was science fiction in the first two films?' We live in a world of predator drones and surveillance and big data and emergent AI (artificial intelligence)." Cameron also said he's not a fan of the three Terminator movies that were made after he left the franchise: 2003's Rise of the Machines, 2009's Salvation, and 2015's Genisys. "They didn't work for me for various reasons," he said. Until we hear more, remember that Terminator 2: 3D (which Cameron converted into 4K) will hit theaters next month.